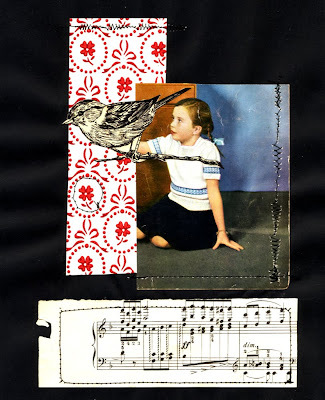 Stop by and see non-linear narratives come to life as I stitch paper quilts made from original photos, found paper, vintage clippings, and recycled ephemera. These one-of-a-kind collages build stories from seemingly unrelated elements, and create art with only paper and thread. This is THE ONLY TIME during the year when ALL of the major art buildings in the South End are open to the public---from the Boston Center for the Arts, Laconia Lofts, the SOWA buildings, the studios on Wareham and Albany Streets, the newly opened Art Block and the Piano Factory over 250 of Boston's most exciting artists open their doors so you can experience art in a profoundly personal way. Painting, photography, printmaking, jewelry, fiber, glass, metal, wood, ceramics, mixed media, and art incorporating cutting edge technology is all here for you to take in and take home.